When it comes to car insurance, military members are turning to us. 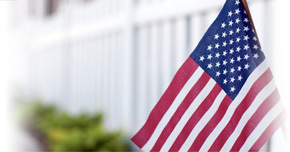 Direct Auto & Life Insurance proudly supports our United States Military with insurance built for the needs of service members and their families. With low-cost rates and easily-customized payment options,* Direct Auto is one of the best insurance companies for active and retired Military members who want the right coverage. Let's learn more about how Direct Auto finds North Charleston military personnel the right car insurance coverage. Direct Auto is aware that military personnel in North Charleston have many options when shopping for car insurance. But at Direct Auto, we know how to customize coverage to fit your needs and can help advise on the insurance fundamentals like liability coverage and deductibles. That's why we have tools like the Coverage Assistant. Working with the Coverage Assistant, you can find out what insurance matches your needs and allocated budget, without blowing the bank on coverage. The Direct Auto team strives to be straightforward every step of the way, from quote to purchase, describing what your plan covers and answering any questions you may have. From Uninsured Motorist Auto Coverage to Rental Reimbursement, to Rental Reimbursement, we want to educate our military car insurance policyholders. We know that many policyholders are on-the-go too, which is why we designed the DirectDrive app.† The app allows customers to monitor and gain insight into driving habits with real-time feedback, which could grant them rewards and even decrease their monthly bill. Need to pay your auto insurance bill with a moment's notice? You can do that with DirectDrive. With only a few clicks, you can pay your Direct Auto bill, get real-time feedback on driving habits, and play alongside other DirectDrive app users without taking a break from your busy day! iPhone or Android users can download the DirectDrive app for free through the app store. Ready to see how Direct Auto helps military members in North Charleston with their car insurance needs? Give us a at 1-877- GO DIRECT or get a quick quote for auto coverage online!